Palm trees. Ski slopes. A cabin in the woods. No matter your dream getaway, don’t let it get away. Last year, American workers left 429 million vacation days on the table, according to a U.S. Travel Association study/. Now, a new study commissioned by MasterCard found that this year, only half of Americans have been on, or are planning a vacation//. 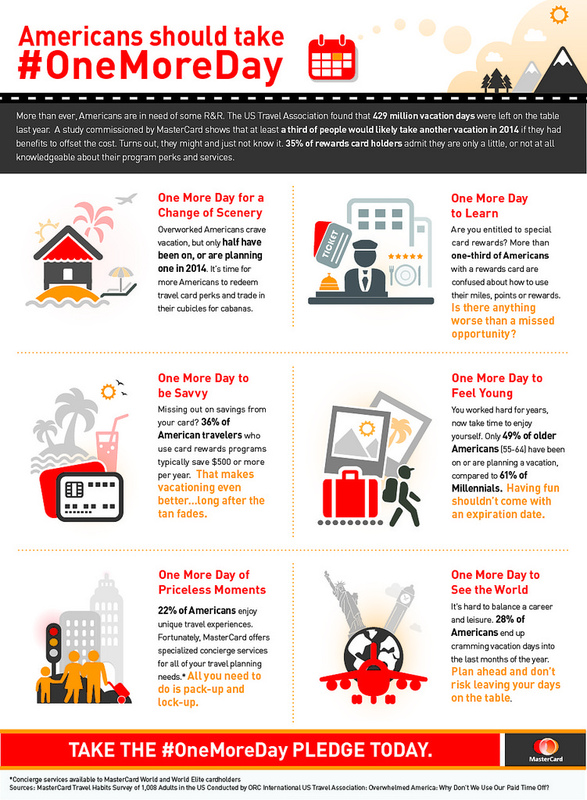 To help inspire a movement to get Americans to take their well-earned time-off, MasterCard has launched “One More Day”—a travel-focused campaign that invites consumers to make a social pledge to take just one more day of vacation to travel, or spend time with family and friends, or just experience new things. And as an added bonus, those that take the pledge using #OneMoreDaySweeps will have the chance receive a Priceless Surprise from MasterCard: a grand prize trip for four, valued at $25,000, to a single destination of the winner’s choice. As part of the campaign MasterCard is also rolling out a series of television, print and digital ads that highlight cardholder travel benefits and services, like the new MasterCard Travel Concierge mobile app,/// and Priceless Cities, a global program including our newest addition, Priceless Las Vegas, that provides MasterCard cardholders exclusive experiences and offers to make travel to the world’s best cities more memorable. Click here for terms and conditions for the #OneMoreDaySweeps. /U.S. 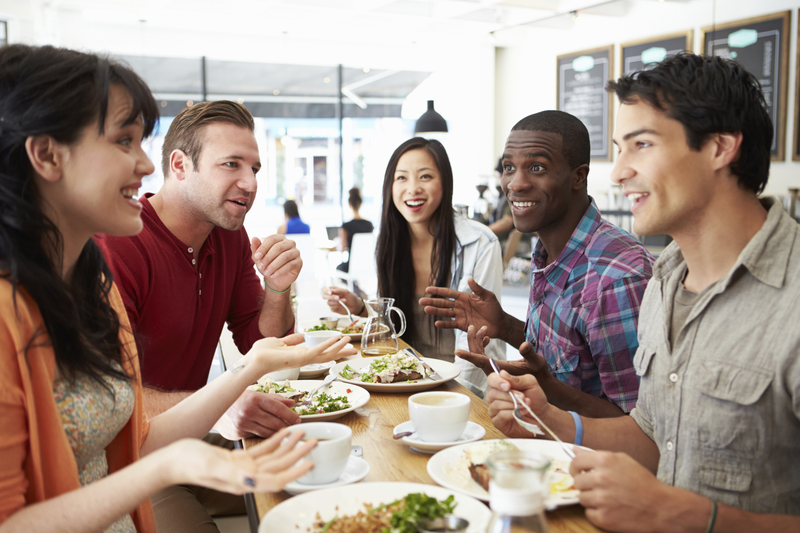 Travel Association: Overwhelmed America: Why Don’t We Use Our Paid Time Off?